Garnier Skin Naturals Fresh Cleansing Cloths Face & Eyes ~ $5.97. Cleansing Cloths enriched with grape extract. 2 Doses Of Makeup Removing Lotion In 1 Cloth. I bought these because I didn't know what other brand to get - but too late I remembered trying them and not liking them at all! Ugh, these didn't work well at all. They didn't remove eye makeup and barely worked on arm swatches. Initially I received this way back in a bzzagent campaign and was surprised by how much I liked it! I acutally loved this foundation and this was a second repurchase - it is such a reasonable price and I really love the look it gives me! 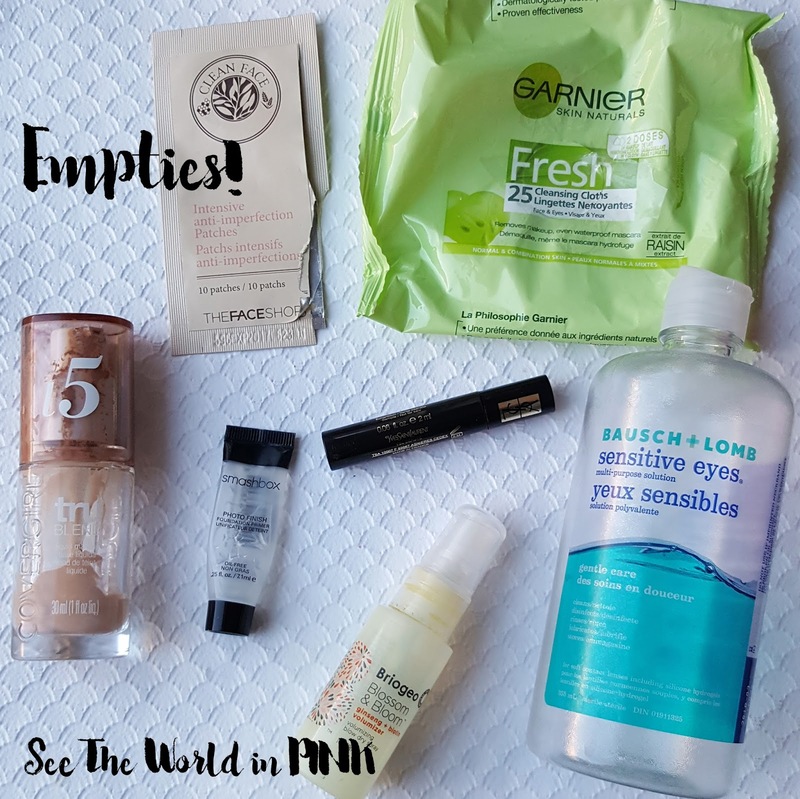 I posted a full review on the foundation here, and this made my February monthly favourites! Smashbox Iconic Photo Finish Foundation Primer ~ sample size 0.25 oz for $11 (full size is 1 oz for $44). Use after moisturizer and before foundation for complexion perfection. This skin-soothing blend of antioxidants, which can be worn alone or under foundation, works overtime to fill in fine lines and even out skin texture. This primer is pretty good - it is a very popular primer. I like the lightweight texture of this and it smooths nicely on the face and my makeup sits well on it. Yves Saint Laurent Mascara Volume Effet Faux Cils - Luxurious Mascara ~ sample size (full size is $37.00). A mascara that achieves high volume and a dramatic false lash effect. I actually usually like a dry mascara formula - but this one was a little too dry for my liking. I found this flaky as well. I liked the brush, but didn't love much else. I had to use it with a 2nd mascara to make it look good. I received this quite a while ago in a Birchbox - it smells really great, but it did absolutely nothing for my hair. I didn't notice any extra volume and it just didn't do a whole lot for me. 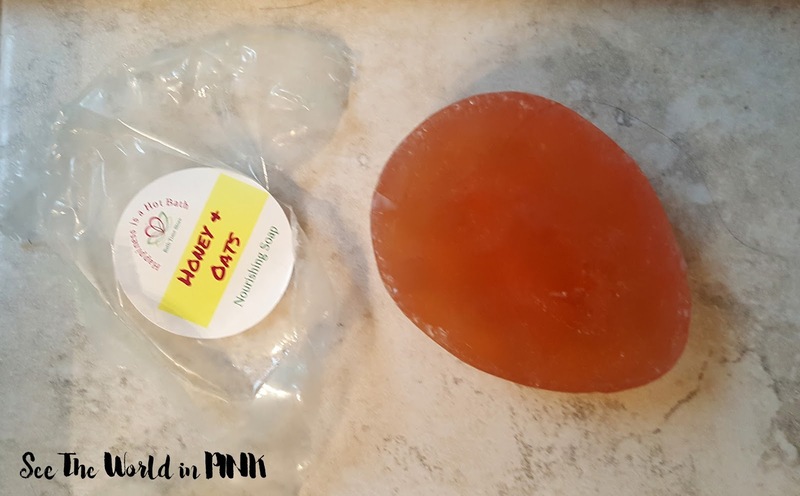 Bath Time Box Honey & Oats Nourishing Soap ~ $7.50. Just in time to sooth that summer skin - this fun and functional soap features 10% real honey and colloidal oats for the ultimate summer scrub. Use the scrubby side to gently scrub away the sand, and the smooth side to gently repair and renew. Ever since I started receiving Bath Time boxes, I actually can't use any other soaps - they are AMAZING! This was a really great soap that has a fun bumpy side to help scrub the body! I also loved the scent! Repurchase: Yes, along with all their soaps! 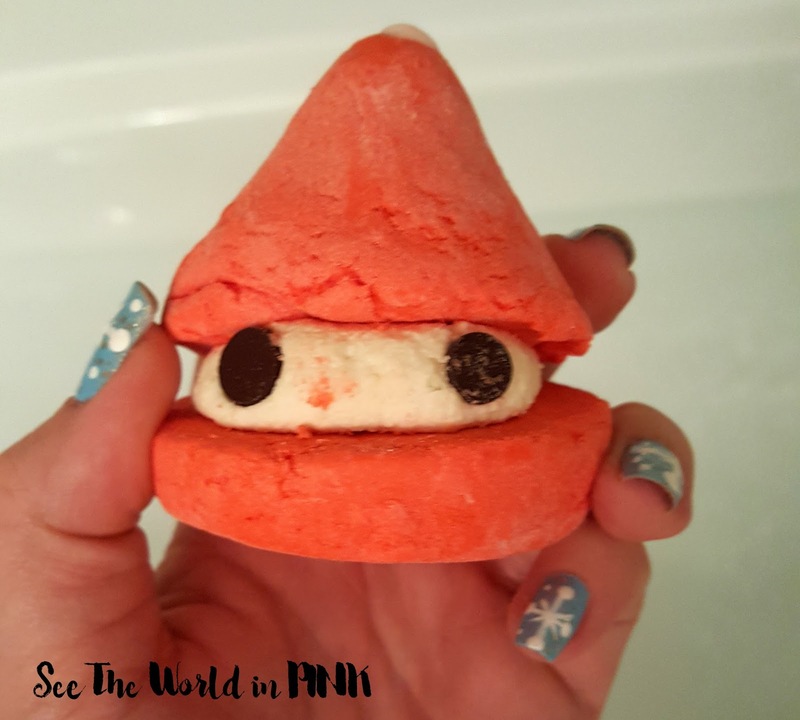 Lush Peeping Santa Bubble Bar ~ $6.95. Take one look into Santa's adorable chocolate chip eyes and you'll see why we had to bring this Santa back for another Christmas! With a layer of hydrating butters in the middle and a mouth-watering strawberry perfume, you'll have to restrain yourself from taking a chomp out of this bubble bar. Save him for the bath instead: we promise you'll enjoy him much better in the tub than in your tummy. How cute is this little bar?! I took it really easy with my Lush purchases this year, but I had to get this peeping santa again! This is a great smelling strawberry bubble bar and I love it! Repurchase: Yes, next year if it is released again! So, for December I actually only used up 9 products! That it such a small amount! I have lots of products that are close to being done so I'm thinking that January is going to come with a much bigger haul!